Resene Blackboard Paint is a premium washable waterborne finish that can be used to create a blackboard finish inside or out. 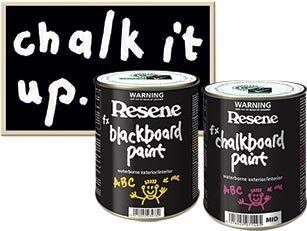 Resene Chalkboard Paint is a premium washable waterborne finish that can be tinted to a range of Resene colours to create a chalkboard finish inside or out. Choose from the selection shown on the other side this leaflet, or any other colours from Resene mid or deep base. 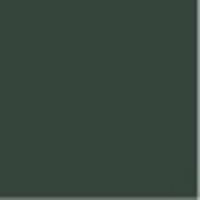 For more colour options, Resene SpaceCote Low Sheen may also be tinted and used as a chalkboard finish. Simply prepare and prime, if needed, and apply two coats of Resene Blackboard Paint or Resene Chalkboard Paint in your chosen colour. If space is limited combine Resene Magnetic Magic as the basecoat and Resene Blackboard Paint or Resene Chalkboard Paint for the topcoats and create a versatile magnetic blackboard. Once you’ve done the hard work, you can decorate it to your heart’s content with chalk. Cleaning up is child’s play… just dust the chalk away. Ideal for homes, offices, businesses and schools.